Pairing food and wine is one of life's great pleasures. The perfect combination of food and wine approaches the sublime, elevating an ordinary meal to an extraordinary one. 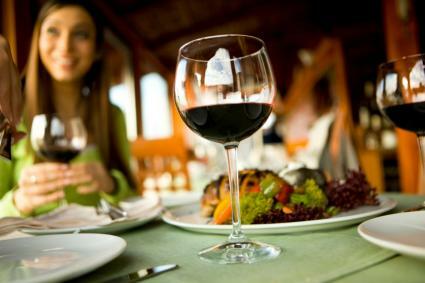 Knowing some basics about how to pair foods to wines can help enhance your enjoyment of both. This sounds complicated, but it's really very simple. When pairing up food and wine, start by matching the weight of the wine to the weight of the food. Heavier wines like Cabernet and Bordeaux should be paired with heavier (heartier) dishes. Light wines like Pinot Grigio and Riesling should be matched with lighter fare. Sweet and spicy dishes accentuate the acidity, astringency and tannic qualities, often referred to as texture of any given wine. Foods high in acids or salt content, tend to dull the textures of wine, which isn't necessarily a bad thing. What you're looking for when pairing food and wine is a delicate balance between the flavors of the wine and the flavors of the food. When matching textures of food with wine, think about what you want the wine to do to the food and vice versa. For example, if you want to bring out the tannins in a Cabernet Sauvignon, serve it with a sweeter or spicier dish. If you think the tannins in the Cab you plan on serving are too "big," cut them down a bit by serving it with a dish that is a bit salty and bitter. The following food wine pairing charts are by no means comprehensive, there are just so many great pairings! Think of them more as a jumping off point to help you plan your wine and food menu for your next get together. The old fashioned rule of red wine with red meat and white wine with white meat is so restrictive and there is really no reason to follow it. The whole idea of pairing wine with food is for the two to complement one another. If you want to drink your bottle of Caymus with a grilled burger, then do it. Try a bottle of Fish Eye Chard with Pad Thai. Great wine always complements great food, so don't be afraid to throw all the guidelines out the window and experiment with what wine and food you think pair well together. As always, you will never go wrong by drinking the wine you love. If you love it, it's more than likely that your guests will love it as well.